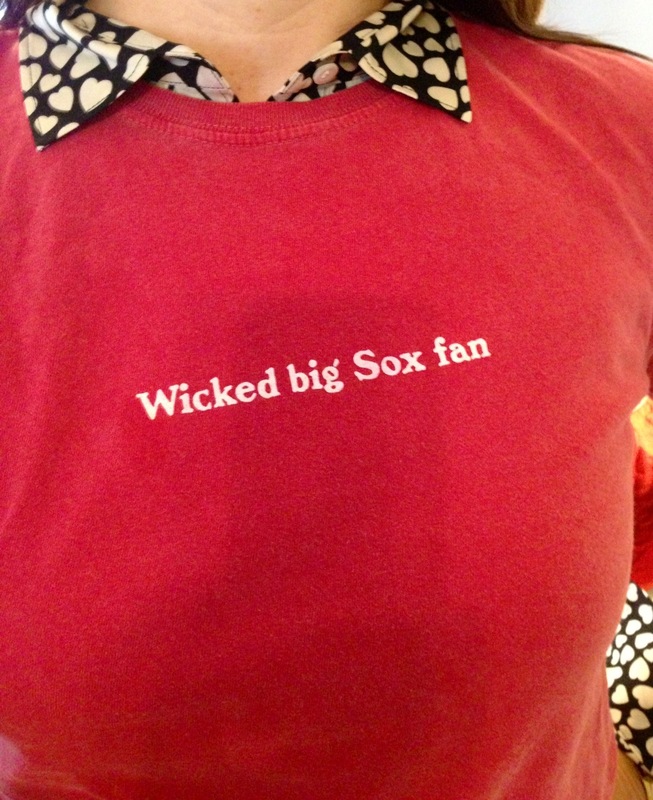 When your team is in the playoffs, you get to incorporate your lucky shirt into your outfit. Hilarious! Where are your striped ballet flats??? I never though of Red Sox Lillybee flats! If course I need some. You have red and navy? Next Next post: lovable losers no more?